Kid Nepro is one of few sounds companies still supporting vintage samplers that use the old floppy disks. While we still offer the floppies for sale and delivery by snail mail, we have now made available most of our vintage sampler floppy disks as .img (image) files that can be downloaded. That means no more waiting for those old floppies to arrive in the mail. We have also slashed the price in half on all downloadable floppies images. Now only $5. for each disk image, as well as big savings on bulk orders. Email Us and let us know how many disks your looking to pick up. We will send you a price quote. The not so good news is that you need a PC computer with an “internal floppy drive” in order to create your own floppy disks with the image files that you download. 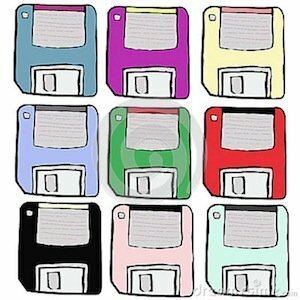 We include a free app with your order that lets you create the floppy disks. The app is for PC’s only. You can not do this with an external floppy drive. It will work with internal floppy drives only. If you have the right hardware set up, then pick up a bunch of floppy’s and your ready to roll. Remember to choose the correct floppy type for your sampler. Many of the old samplers use the “High Density” 1.44 MB disks. They are getting harder to find these days, there are still many places were you can get them. A quick google search will turn up several. 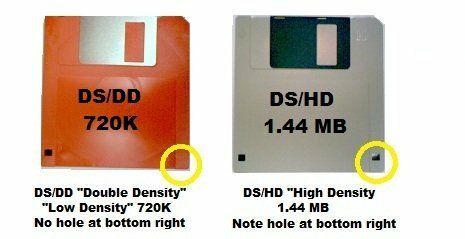 However, a few old samplers will only read “Double Density” 720k disks. We have listed them below. Those can be pretty hard to find any more, but you can still get some if you look around. If you need any more info, just Email Us or give a call and we will be happy to help. Here is a list of what is available. Just click each link to bring you to the floppy disk lists. The price of the floppy’s are $10. each at the links below, when sent through snail mail, but only $5. each when downloaded as image files. Contact us with the image numbers of the files you would like and we will send you a price quote. Killer deals on bulk orders. The more you buy, the more you save! Akai S1000 Library. This is compatible with most S-Series samplers. Click on the link for more info. Requires High Density floppy disks. Akai S900/950 Library. Requires Double Density floppy disks. Akai Original MPC60 & MPC60-MK2 Library. Requires Double Density floppy disks. Akai MPC2000 Series Library. Includes the MPC2000 & MPC2000-XL Library. Requires High Density floppy disks. EMU Emax Library. Includes all Emax Series samplers. Requires Double Density floppy disks. Ensoniq EPS16 Library. Includes all EPS and ASR samplers. Requires Double Density floppy disks. Sequential Prophet 2000 Library. Includes the Prophet 2000, Prophet 2002 and Studio 440 samplers. Requires Double Density floppy disks. I have an old ESI-32 running on vOS1.04. Is there any way to upgrade to vOS3.2 or more? Can I use your Emax 3.2 OS directly for my ESI-32? Hello Akai. I Would like to know if Akai S900-S950 Sample Library in Floppy Disk is Compatible with Yamaha DGX 505.